Thank you Mr. Che Sa Bingu for providing this article. matrilineal kinship system (Mon-Khmer group: M’Nong and Koho; Western Indonesia group: Giarai, Ede, Churu, Raglai and Cham) in Vietnam’s Central Coastal Regions and the Central Highlands. Among these groups, Chams had established a state system from early in the history. During the time of Thuan Thanh Princely State 順城鎭(1695-1832), for instance, Thuan Than Tran Vuong 順城鎭王(Cham King) ruled over the Chams under the control of Nguyen Lords (1555-1777) and Nguyen Dynasty (1802-1945). The influence of Cham Kingdom also spread beyond the territory directly occupied by the ethnic Chams. Oral records found in the southern part of Central Highlands all mention Cham king’s authority (Dam Bo 1950; Boulbet 1967; Lam Tuyen Tinh 1985; Nguyen Thuan Triet 1990; Lam Tuyen Tinh 2000). These include the folktales about their resistance against Cham kings, marriage with Cham Princesses, or stories about how they aided Cham kingdom in their conflicts with their enemies. Furthermore, one of the crucial pieces of evidence that link the Montagnards and the Cham Kings is the presence of the treasures of Cham kings in more than a dozen storages located in the villages of Montagnards like Koho, Raglai and Churu in Lam Dong Province, Ninh Thuan Privince, and Binh Thuan Province (Parmentier & Durand 1905; Nghiem Tham 1960; Nguyen Xuan Nghia 1989). However, to this day, the evidence regarding Cham king’s labour and land administration of the Montagnards has been strikingly rare. This report presents several data that allow us to analyze and reconstruct the Cham system of administering the labor and land tenure among the Montagnards. 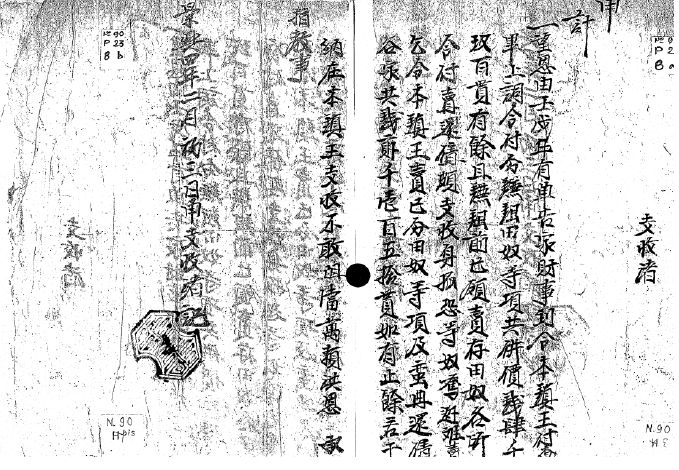 This entry was posted in History [Lịch sử] and tagged Biên niên sử, History, miền núi, Oral Archives, Toshihiko SHINE. Bookmark the permalink.